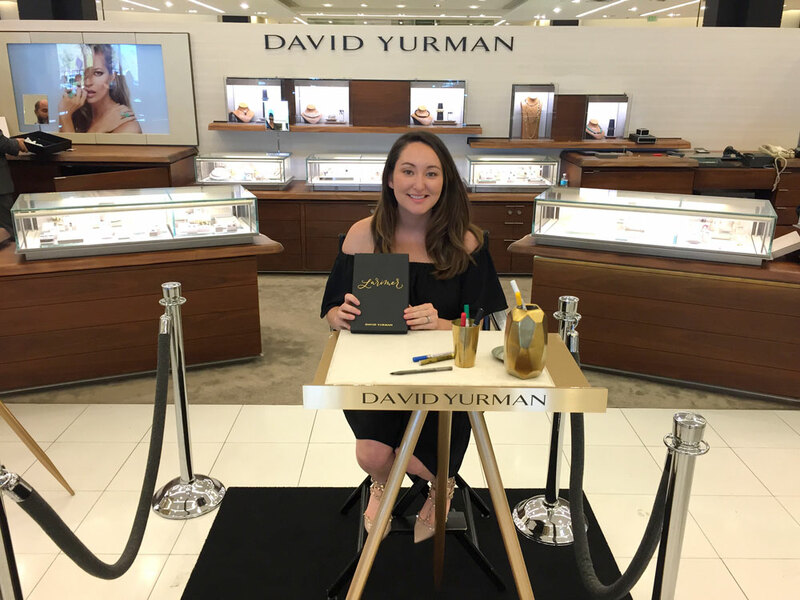 In February, David Yurman reached out to Kristara Calligraphy to do live calligraphy at their trunk shows around the country. 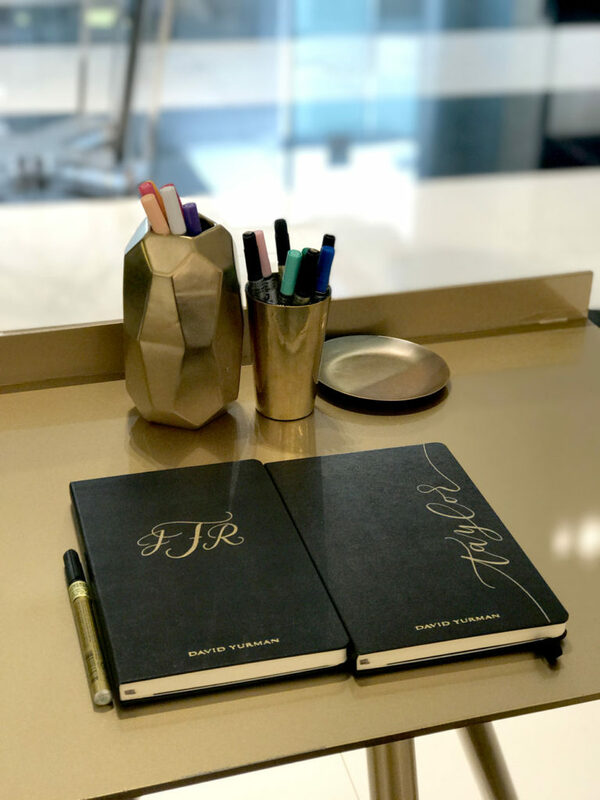 To promote their new Continuance Collection, they had custom journals made and wanted me to personalize them for their clients as a gift with purchase. 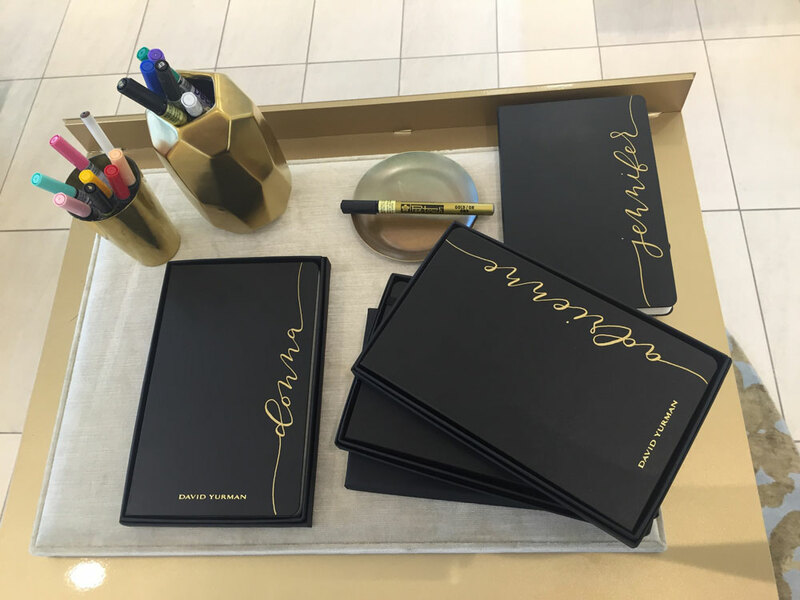 In addition to seeing some of the most beautiful jewelry in the fashion industry first hand, I got to travel to some incredible places. Chicago, San Francisco, Orlando, Los Angeles, and Dallas—to name a few. It was an incredible experience, and one of my favorite projects to date! Take a look at some of the pictures from the events!